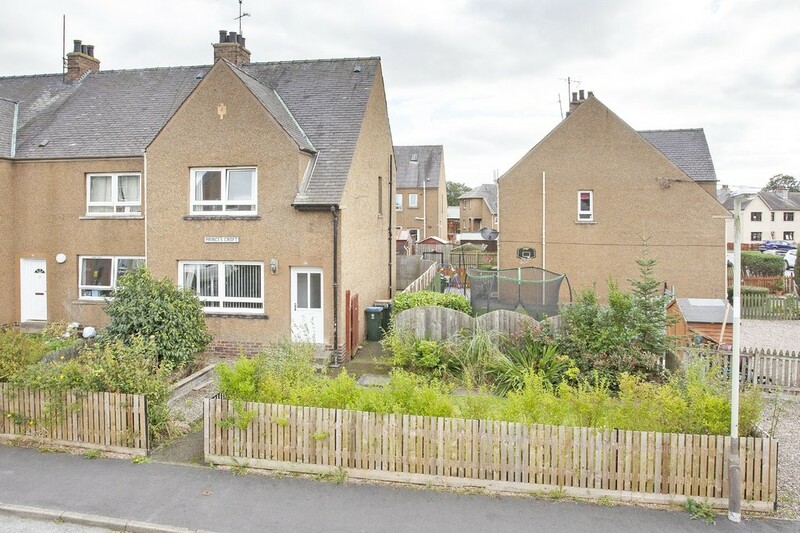 A fantastic opportunity to purchase this 2 BEDROOM END TERRACED CORNER PLOT VILLA situated within Coupar Angus. 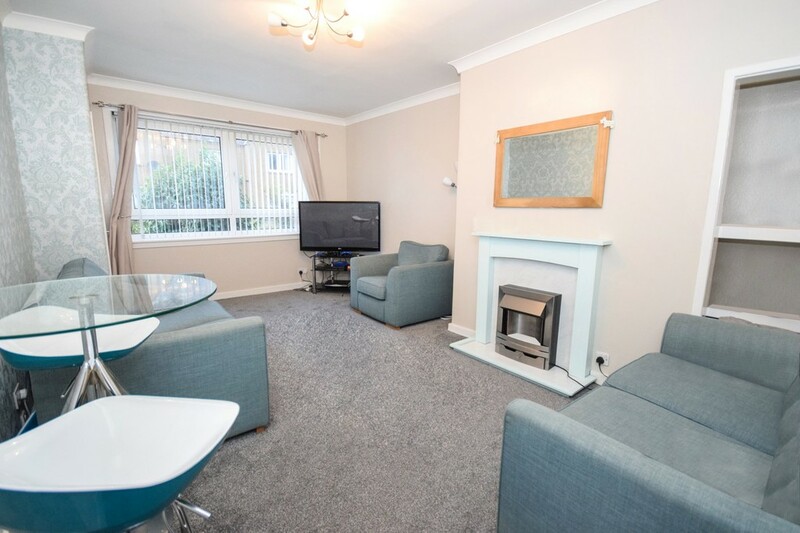 The property comprises of: entrance hall, bright and spacious lounge, kitchen/diner, landing, two good sized double bedrooms and family bathroom. Double glazing and electric panel heating throughout. EPC RATING F.
Externally the property benefits from off street parking for two cars along with front and rear gardens. AREA The town boasts an array of shops and a supermarket together with a garage and primary school. Secondary schooling is available in the nearby town of Blairgowrie. Coupar Angus is ideally located for commuting to Perth, Dundee and Forfar. 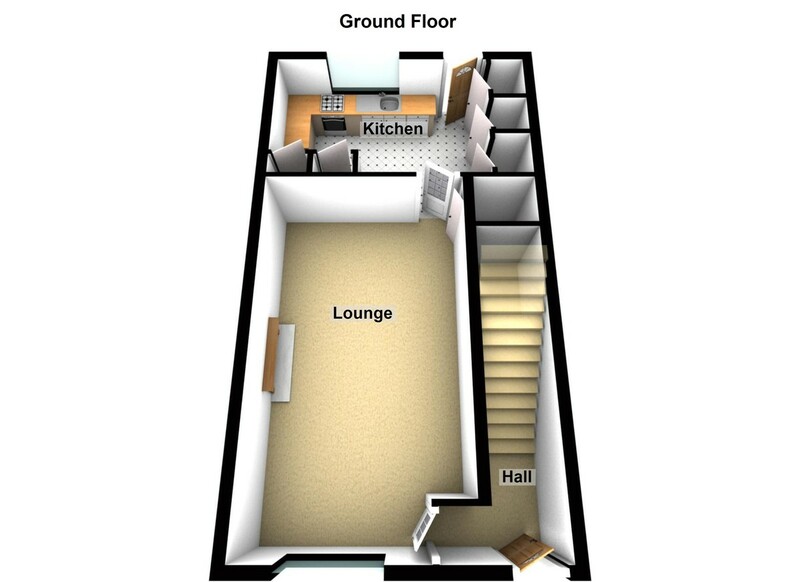 ENTRANCE HALL 4' 6" x 3' 7" (1.37m x 1.09m) Accessed via a UPVC door the entrance hall provides access to the ground floor accommodation along with a fully carpeted staircase giving access to the upper level. Neutral décor. Carpet. Electric panel heater. Electric meter. Fuse box. LOUNGE 18' 11" x 12' 0" (5.77m x 3.66m) A very spacious and tastefully decorated lounge with front facing window. 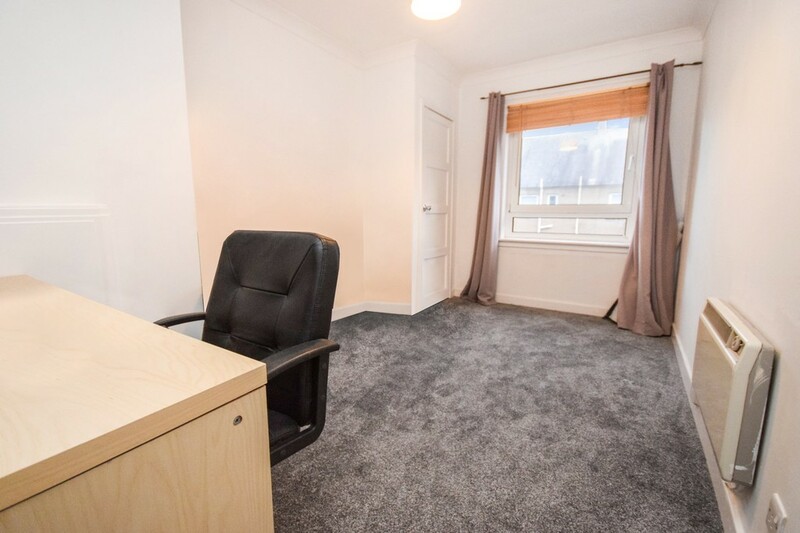 Ample room for a range of free standing furniture. Recessed alcove provides additional storage. Electric fireplace with decorative surround provides a focal point. Carpet. Cornicing to the ceiling. Electric panel heater. 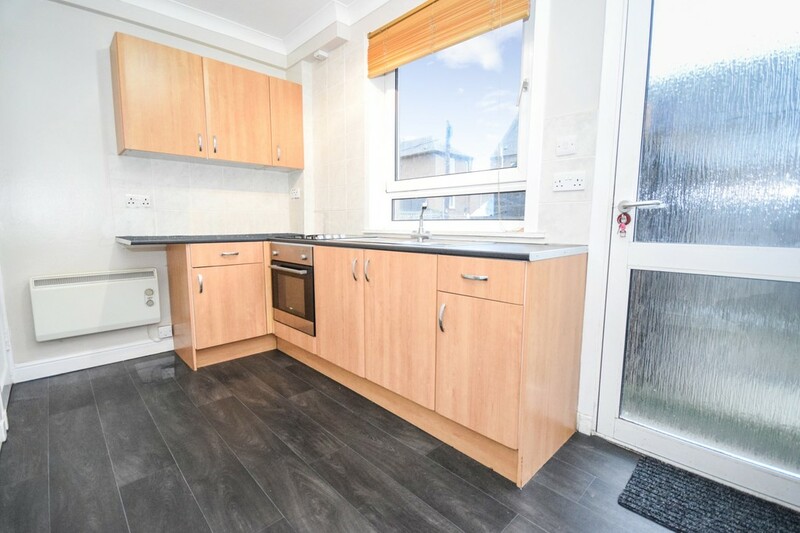 KITCHEN 11' 6" x 8' 9" (3.51m x 2.67m) A modern kitchen fitted with a range of wooden wall and base units with contrasting work surfaces and tiling to splash back areas. Stainless steel sink and drainer unit with window above, overlooking the rear garden. Four built in cupboards. 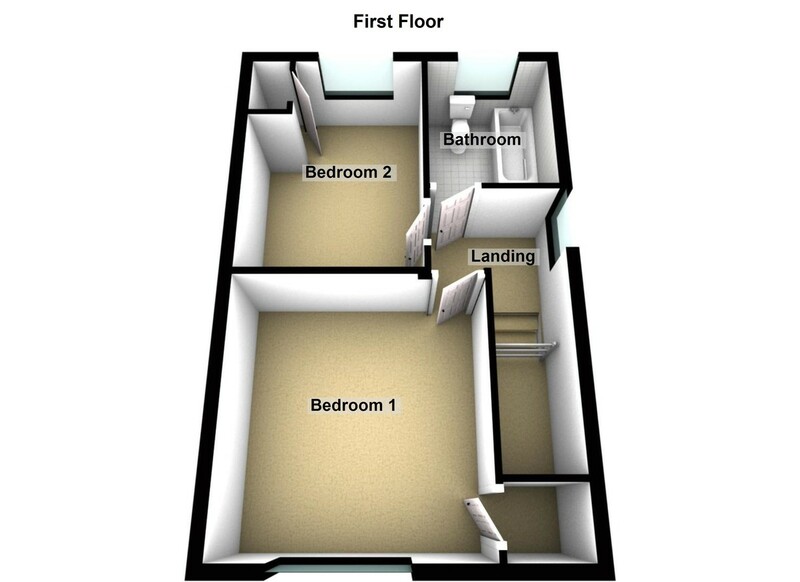 One with space for washing machine and tumble dryer. Space for free standing fridge/freezer. Complementary vinyl flooring. Cornicing to the ceiling. Access to rear garden. 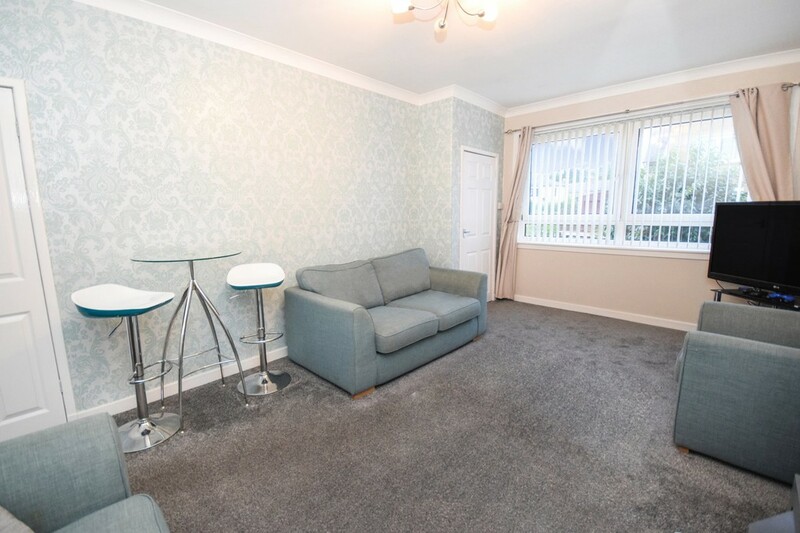 LANDING 6' 7" x 5' 2" (2.01m x 1.57m) Accessed via a fully carpeted staircase the landing provides access to all accommodation on the upper level. Side window allows natural light to flood the area. Hatch to access attic space. MASTER BEDROOM 12' 6" x 12' 1" (3.81m x 3.68m) A generous sized master bedroom with front facing window. Ample room for free standing bedroom furniture. Built in cupboards. Carpet. Cornicing to the ceiling. Electric panel heater. PLEASE NOTE: The free standing bedroom furniture is available for separate negotiation. 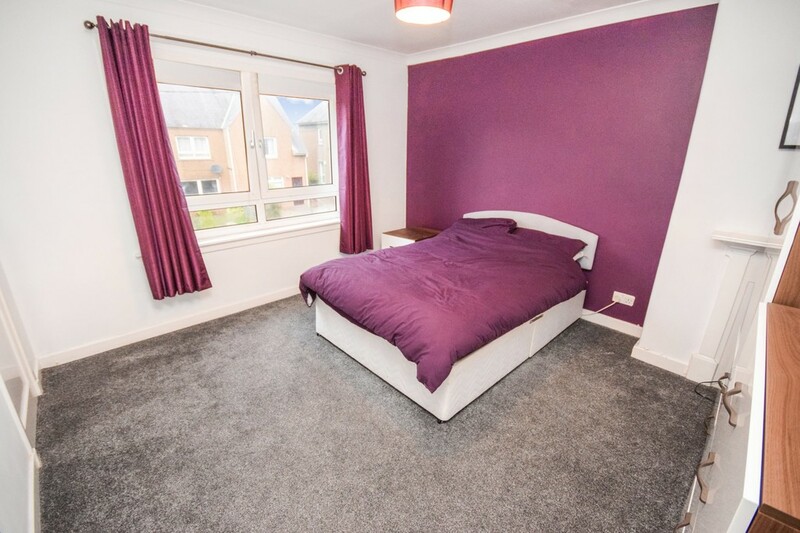 BEDROOM 2 14' 8" x 8' 9" (4.47m x 2.67m) Another bright and spacious double bedroom with rear facing window. Built in cupboard with hanging rail and shelving. Carpet. Cornicing to the ceiling. Electric panel heater. 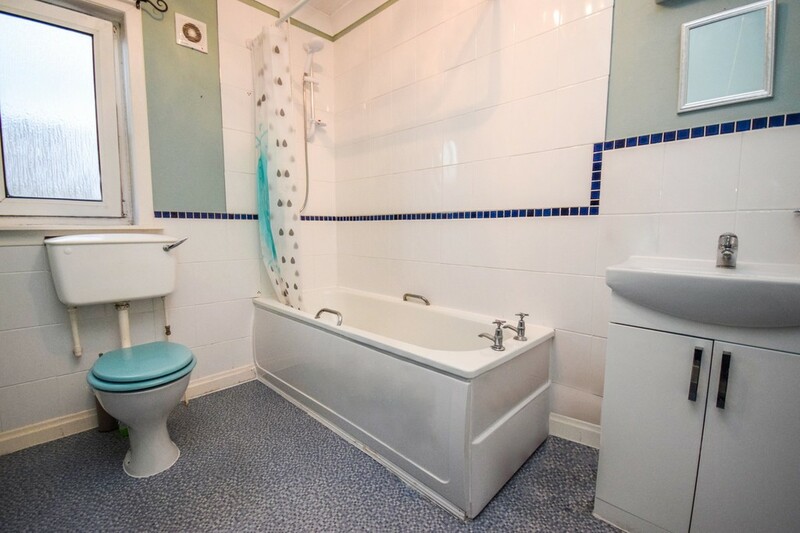 BATHROOM 8 ' 11" x 6' 7" (2.72m x 2.01m) A spacious family bathroom fitted with a three piece white suite comprising of: W.C., wash hand basin with storage under and vanity mirror above and bath with electric shower over. Tiling to splash back areas. Complementary vinyl flooring. Opaque window to the rear providing additional ventilation and allowing natural light into the room. Extractor fan. Heated chrome ladder towel rail. 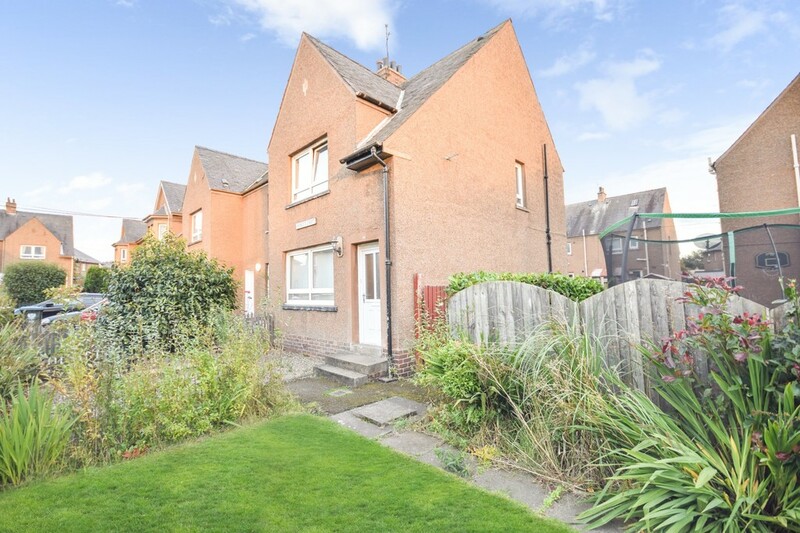 EXTERNAL The property has the benefit of being situated on a corner plot and offering ample private parking for two cars to the side. To the front of the property the garden grounds are mainly laid to lawn for ease of maintenance and the rear garden can be accessed via a footpath which is fully paved. 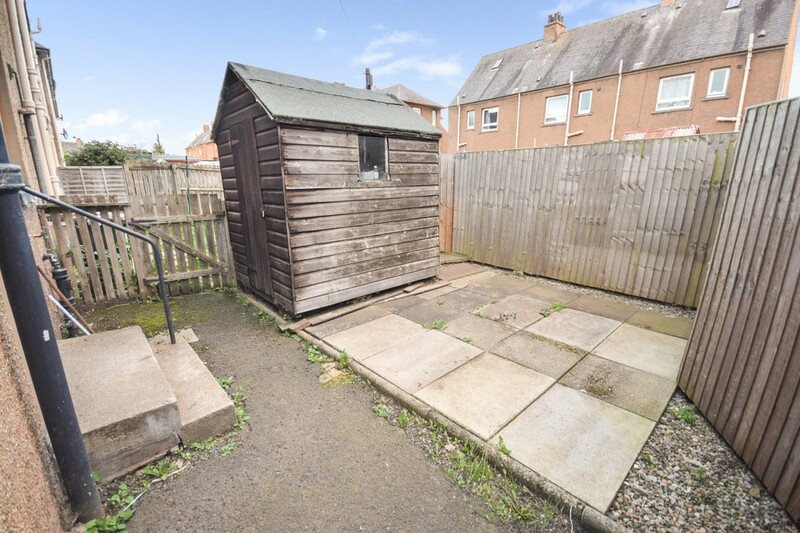 Timber shed included in sale.